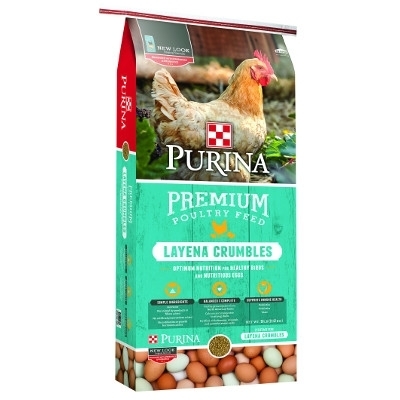 Purina's Layena Crumbles has wholesome nutrition you can trust to provide the very best for your poultry. Optimum nutrition for healthy birds and nutritous eggs. A 16%-protein, high-calcium ration formulated with prebiotics, probiotics and yeast for top-producing laying hens once they reach 18 weeks of age. Pick up a bag at Crown Feed & Supply.